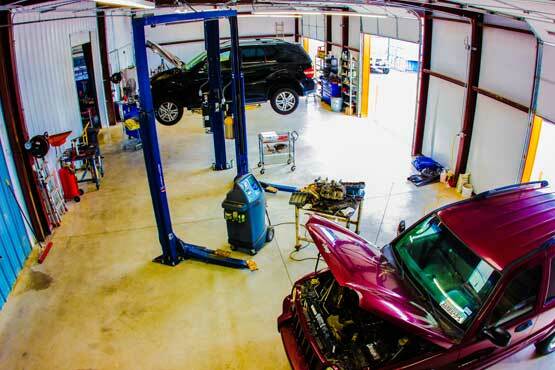 We are the cost-effective dealership alternative for maintenance of your personal or company auto, pickup, or truck. We will service your vehicle while maintaining your manufacturer's warranty, all with technicians who are well trained, knowledgeable, and certified. Modern vehicles are highly computerized and require state of the art test equipment for proper service and repair. Aardvark Automotive happens to be the best-equipped shop in the Texas Panhandle, so you can be assured that your car is in good hands. We are firm believers that preventive maintenance extends the life of your vehicle, saving you time and money. Therefore, service reminders are mailed to you to help you keep up with your vehicle's maintenance schedule. We also recommend doing a pre-trip vehicle inspection before you leave town to go on vacation. We don't want a stalled engine to be the most eventful part of your road trip!